I describe myself as a locavore – whereever possible I try to purchase the food I eat – whether in restaurants or that I cook at home – from local sources – ideally as close to the source of production as possible. I shop at the butcher’s shop down the street, the corner (and great) produce market, the local farmer’s markets and try as much as possible to avoid shopping at big box national chains and when I do I try to purchase mostly locally sourced, seasonal products as well as fair-trade and environmentally friendly products when I have to (i.e. toilet paper etc). But being a locavore is not just about food – I also try to do most of my other shopping – whether clothes, books, or gifts for family and friends from local stores. I often buy used books as gifts – both because I often find highly personally relevant works that way – and because philosophically I like supporting good reuse. However I also recognize that this does not support the authors directly – so in the case of books by friends of mine (which is literally nearly 100+ books a year, not all of which I buy) I generally buy those new, usually from a local independant bookstore (or occasionally the first week they come out from a big chain store such as Borders to help out my friend’s first week sales numbers). So what does my personal shopping preferences have to do with my business idea? I moved to San Francisco only a few years ago, in that time I have spent a lot of time and wore out a few pairs of shoes, walking the streets of San Francisco learning the neighborhoods, finding shops and areas of interest. However I find that there is no good source for me to refer to, especially as we enter into the holiday shopping season, to know what stores are selling what, sales or special offers they are making, and especially about newer shops which might be offering just the right thing I want to buy. I’ve looked at many of the various free publications here in SF (SF Weekly, The Bay Guardian) as well as a few of the monthly magazines – and while they offer a limited amount of coverage of the local scene (and even more limited amounts of local ads) none of them do a very good job – and the extremely local options (my neighborhood Noe Valley has a very small local newspaper) while interesting are quite limited in their coverage and fairly low quality. Sites such as Yelp offer some coverage – though I do not like Yelp in the least – I find it next to useless – the food coverage is horrible and the shopping coverage to random and fundementally people have way too different a range of perspectives as to what is a “good value” to cite just one example or of what tastes good – I’m biased but I think I am a far more discriminating restaruant critic than the vast majority of the reviewers on Yelp. The publication would be relatively high quality in the print edition – though it would start with the digital edition and extend rapidly to a print edition (once ad commitments were high enough to pay the cost of printing probably in color and a distribution/subscription plan was set). In terms of format the coverage of stores (which would be a major focus of the publication) would be highly visual – lots of photos to illustrate every article – at a minimum of the storefront, of the owner and/or staff, of a few representative products. The articles would ideally be part of a piece covering a broad theme – either a collection of related types of businesses and/or a given neighborhood of the city. Publishing an article would be seperate and NOT related to that business running an advertisement in the publication. 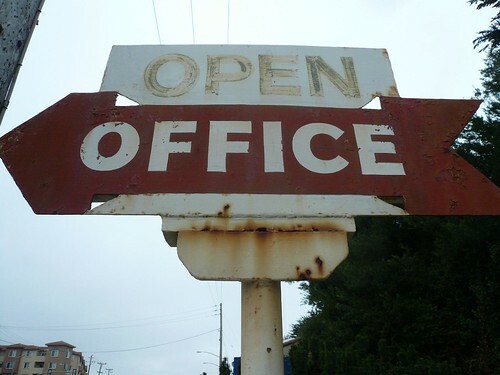 But in the course of talking with each business ads would be pitched – the articles would run online, would include a link to the store’s website (if it has one) but would be writen to be relatively timeless – i.e. wouldn’t be focused on current sales (or perhaps only a current show in the case of a gallery). If a store pays for an ad – that ad would be a platform for them to maintain up-to-date information about offers (discounts for readers, current specials, new shows, upcoming events). The ad text would be clearly identified as being an ad. Pricing would be flexible – this is a bit of an experiement – my rough thinking is that broadly speaking pricing would be tiered – with one level for businesses under some arbitrary size (or in certain categories) and a tiering up level up – the result in part being that national chains would be charged almost certainly a higher rate than most local businesses – though a local business selling very high end products (and thus if their volume is also high having a fairly high revenue base) would also be charged at the higher rates. Ideally the rates would be for the whole season – so for a few months at a minimum. I don’t know the right rates – but my gut says something <$200 or so for a small business (<$250k/yr gross revenues) and going up from there to a few $K for a business such as Macy’s. Technically each advertiser would be given a way to update their ad text – which would appear online around the article covering their store/business as well as in relevant sections (so in the larger article covering their neighborhood or business type). Before the print edition(s) each advertiser would submit the content they want to have – small businesses would likely have TEXT only advertisements and those paying a slightly higher rate would have small sized graphic ads (i.e. 1/4 page or likely smaller) with the largest companies who pay the higher rates being offered either a set of small graphic ads or a full page ad. The premium placements (back cover, front pages, middle pages) would go to the highest rates though likely at least one or two of those pages would be reserved for a collection of small, text ads from smaller local buisnesses. So this is a very commercial idea – it is not about long form investigative reporting, nor is it about highly political ranting (as is so much of the free weekly press). But neither is it only focused on businesses of a given type – i.e. not just “green” businesses or in the other extreme not just high fashion/design businesses. Executing on this idea would take a lot of people – and a lot of work – and the result would need to be carefully edited and produced to avoid (in the physical print form) being unwieldy – my instinct is to print many different editions – perhaps as frequently as once a week – with each one focusing on different neighborhoods and different themes – i.e. perhaps local butchers and bakers in the week before Thanksgving but also cover three distinct neighborhoods of the city – so both theme and geography – with the final result being nearly complete coverage of the city in some fixed period of time (perhaps the whole year or perhaps on a rotating basis over 3-4 months). Each print edition might include a few long form articles – but initially I think it should not – the focus shoudl be on some visual (as well as textual) coverage of lots of businesses and lots of themes. As an article is written and edited the whole piece would be published online – probably with an editorial standard of a minimum number of photos (2-4 at least I think), an accurate address (or addresses), hours of operation, website link. Of course technically much of this data could be marked up as one or more microformats – but that’s not the point here – the point is to build up a rich set of interesting content – content that gives you a solid sense of what the buisness is about (via visuals and writing with a human voice) combined with relevant – if also commercial – messages (i.e. ads from the business or related businesses – always clearly marked). The idea here is also to be a curator of the city (or more accurately to enable multiple people to curate different aspects of the city) so not every business will be covered – only the ones that a given curator thinks are notable – are worthy of being writen up and discussed. So that is my idea in the broad outlines – yes, it is in many ways very traditional – it builds on past ideas (Yellow Pages, those free publications you find in most cities in your hotel rooms) but I think there are a few twists here as well – lots more visual content (enabled in part by digital cameras) and an experimentation in the form of advertising content – i.e. to have ads which are updated by the businesses automatically for the duration of their contract (technically this could be via a custom RSS feed from a feed under the business’s control – with some HTML/URL filtering/preprocessing) Heck, the ads could technically be updated via Twitter! In thinking about the businesss requirements of this idea I think it could be bootstrapped by a small core cadre of passionate people – it would require a few sales people and a lot of writers – initially everyone would be working essentially on commission/spec – but eventually a rate per business would be set, as well as rates for the curators who would choose which businesses meet the criteria and editors who would ensure that all copy is of a high quality (gramatically, factually accurate, all photos licensed accurately etc). Anyway lots of details to work out – but if you are interested in exploring this idea here in San Francisco leave a comment or contact me directly. If you want to explore this idea in your own city – as I said at the beginning consider this cc-atribution – please go and try this – build up a great buisness and make lots of money – just also please give me some small bit of credit. I have been following the move online of offline publications for over a decade (I’ve been on the Internet since 1991, went to my first websites via Gopher search) but something I have been wondering about since the mid-90’s and still almost never see is why so many publications who have offline publications (magazines or newspapers of any frequency) do not include their print advertisers as 1st level content in their online presenses. And, in many cases have entirely different advertisers online vs. offline with little overlap and very limited even acknowledgement in the online presense of the offline advertisers at all. Now there are 1000’s of publications around the world and I only read a few of them offline or online, so perhaps there are some great examples I have missed – please leave comments w/links to examples, especially those that do it very well. And sure, I know there are objections from some that “ads” are not content (I’d argue that they most certainly are content) or that people would just ignore them online (though I’d ask if they have ever really be tested). To address the content question – there are entire magazines offline which are almost entirely based around the “content” of ads (the many highly profitable Vogue magazines for example) and other magazines such as The New Yorker where the ads make up a key part of the look and feel of the magazine (especially the small format ads) but in both cases the offline advertisers seem to have no part at all of the online presense. I have been thinking about this as I have been looking at magazine and newspaper websites in preparation for thinking about a submission to the Knight Foundation’s $5M News Challenge (deadline is Nov 1st). Now I am at a slight disadvantage as many of the judges are friends of mine (so will have to recuse themselves while evaluating me) but I hope that the idea I have, whether I implement it or not may inspire many people to copy it in the future (it is geographically specific so I’m happy to see many people copy it in cities around the world – and even in the same cities as I think there is plenty of room for many). But one part of my idea (among many) is to build relationships that extend from the online world to the offline aspects of my idea (which is not only online – it includes a print publication – working out the exact details) and not just the articles, reviews, calendar listings etc but also the content from the advertisers. So as part of my research I’m looking for counterexamples, publications which are doing a good job of including their financial supporters (sponsors as well as more traditional advertisers) into all aspects of the publication – online and offline. I am an avid reader have been since I learned to read as a young child. In my time I have subscribed to many magazines. In high school I also edited the high school literary magazine, an issue which won awards. Great magazines are much more than merely collections of great writing. The editors create a magazine’s voice through layout, article selection, and the context they choose to provide (or conversely choose not to provide) around the individual stories. In today’s blog and web obsessed world it is easy to forget the value and impact of the overall form on the readers but it is worth considering it carefully. 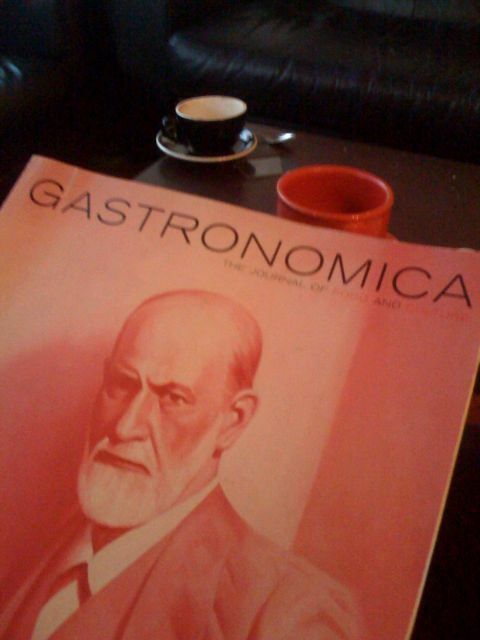 I received a gift of a subscription to Gastronomica last year, but have not had a chance to read the issues I have received until recently when I started to read the Fall 2007. I haven’t yet finished that issue but had an immediate reaction after reading a few articles which is much the same as my feelings about another similarly highly respected magazine Granta. Namely that while both magazines have great individual articles they are lacking something important, specifically a clear editorial voice and context to each article in the issue. In the case of Granta this lack often means that I do not know as I read an article if it is fiction or non-fiction (an no, this is not at all always clear given the types of writing Granta has published in the past). In the case of Gastronomica I found myself wanting some introduction, something to fill the white space around the articles with context, with who the author is, with why these particular stories were published in this particular issue and in this particular order. So to get back to my subject, what does make a great magazine or blog? Context such that the resulting issue (or overall website in the case of a blog) is greater than any individual piece. Sure this still leaves room for great individual articles and stories, Malcolm Gladwell’s many amazing pieces for the New Yorker for example or Andrew Sullivan’s cover article on Obama for Atlantic. But my point is that a great magazine expands upon the work of individual authors and creates a whole which is greater than the parts – both in each issue and over time. Design. I fail on this account frequently on this blog. Great blogs tend to incorporate images, text and increasingly video to enhance and illustrate both each post as well as the overall experience of reading that blog. Indeed I think many of the major blogs (at least in Technology) have a policy of at least one image for every post, usually more than one, which help to anchor the post and make it more than just words. In the case of magzines design – the fonts, layouts, images and especially the structural choices have a major impact on how the magazine reads. Some magazines, The Economist perhaps most famously, have articles that run into each other, often resulting in articles that continue for many pages, whatever the editors feel the topic requires. In contrast many other magazines restrict stories to one page (or part of a page) in many cases and in most others if the story needs a bit more they relegate the end of the story to the back of the magazine (the famous continued on…). A point of view. Great magazines are not for everyone, they are for a particular audience and they wear a point of view clearly and without shame. This does not mean that a magazine which does reporting should not practice great journalism (and the reporting of facts not opinions that requires) but in the selection of what stories to report upon, how to present them and what to invest in and pursue the magazine, at least the great ones, come at the world and the subjects covered from a particular point of view. So why do I have issues with both Granta and Gastronomica which both publish man individually amazing and great pieces of writing? For one both seem content to only let the stories speak for themselves, in both cases I am left without a lot of context about who the writers are, why they are writing from the perspective which they are. Even the New Yorker does this to a bit, with many stories published over the years where the reader is assumed to know who the author is (and why for example the author might talk of the Kennedy’s as cousins or do countless other cases of name dropping). These are then magazines which all too often are written for a very particular community, one which is perhaps too narrow. But further by not taking the smallest of steps to give context as a reader I lurch from story to story (and not at all clear which are memoir, which are reporting, which are fiction, which are some form of meta-experimental mashup of forms). The result for me as a reader is I am left willing to close the magazine unfinished and read something else. So what would be an example of a great magazine I have read recently? Monocle a relatively new (just a bit over a year old) news, lifestyle and design monthly magazine published out of England which is my favorite new discovery of 2008. Every issue, along with the website, starts with a very cohesive and comprehensive design senseability. Clear typography, heavy use of lots of images, long form reporting with a very personal focus, and a very comprehensively global perspective. In part Monocle is one of my favorite new discoveries because of this highly global perspective, unlike the majority of US media (of all forms, web included) Monocle is focused on a truly global perspective, with in depth coverage of cities and news stories from around the world. Cities which in many cases I doubt have gotten even the barest of mentions in most US media anywhere. But I am also reacting positively to the very clear point of view present throughout all parts of Monocle. A point of view that highlights design, which assumes that the readers of the magazine love good design (including some who would buy great examples of design directly from the magazine) and which focused on a fully global perspective. The magazine tends slightly towards a male demographic but does cover both men’s and women’s fashions and design elements. They also include a wide range of mediums – on the web they have films (for subscribers), in print they include custom Manga (in English but layed out in the traditional layout) which include both an ongoing story and advertising. This strong sense of design is also built into the overal magazine’s experience. Most of the magazine is in black and white, but in a very high resolution and high quality print and paper, but each issue includes some in depth stories presented in high resolution color as a special section of the magazine, in all parts of the magazine a large number of images add richly to the stories while at the same time the editors clearly give writers room to write relatively long and more in depth stories than are frequently found in US media. Stories which go on for multiple pages and which include dozens of photos, vs the few pages and only a couple of photos if that found in most US media. Even the physical form feels more like a book than a typical throwaway magazine, as a result it is a magazine I am likely to hold onto for a while into the future. Which brings me to a final point, I also very positively appreciate how Monocle combines advertising and content in a very smoothly integrated whole. The advertisers ad to the overal experience of the magazine and clearly are seen as positive partners in the magazine’s success. As a result I am left with a positive perception of these advertisers even as some of them are unlikely to get my business (as they are in many cases EU based firms). What are your favorite magazines? What do you think makes a great magazine?